ZombieHarmony.com is for zombies only. We advise signing up for ZombieHarmony only if you lack a pulse, have limited motor skills, or feel an intense desire to feast on human beings. We are not responsible for lost or ingested loved ones. 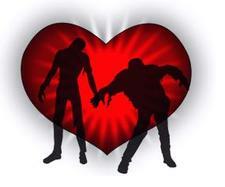 If you go on a date with a zombie, we cannot be held liable for contributing to the apocalypse.